This may mean that there's a problem with your Xbox Live profile. 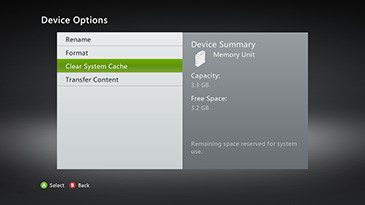 If you can't connect to Xbox live, see Troubleshoot Xbox 360 connection to Xbox Live. Sign in to your Microsoft account. If you forgot your password or it doesn't work, reset your password. Under Password and security info, click Edit security info. If you need to verify your security information, you'll see the word Verify under the phone number and/or email address. Click Verify. Try to sign in to Xbox Live on your console again. If you recently changed your password or security information on your Microsoft account, you may need to clear the cache on your console to remove any previously saved information. To see if your account has two-step verification turned on, sign in to your Microsoft account and select Security info. If you recently turned on two-step verification, you may not know how to sign in to apps or devices that don't accept security codes. Some apps (like the mail apps on some smartphones) and devices (like the Xbox 360) can't prompt you to enter security information when you try to sign in. If you have two-step verification turned on and get an "incorrect password" error with an app or a device, you'll need to create a unique app password in your Microsoft account associated to that app or device before you can sign in. You'll need to do this for each app or device that can't prompt you for security information. Under Password and security info, select Edit security info. If the web page prompts you for security information, enter it and select Submit. Under App passwords, select Create a new app password. This generates a new app password, which appears on your screen. When your Xbox console prompts you for your Microsoft account password, enter the app password that you created online. After you sign in with your app password, you're all set to use that app or device. You will use this new app password to sign in to your device instead of your Microsoft account password. Under the heading Two-Step Verification, select Turn off two-step verification. For information about how to do this, see Manage gamertag & profile support. Turn on your Xbox 360 console. To delete and then redownload system updates, follow these steps. 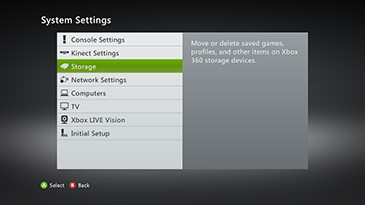 Note These steps delete all installed system updates on your Xbox console. Press the Guide button and then select Xbox Home. Select settings and then System. Highlight your storage device (but do not press A to select it). On the Delete System Update screen, select Yes. After your Xbox console restarts, select OK to download and install the system update. After the system update is installed, redownload your Xbox Live profile and try to sign in to Xbox Live. Would you like to contact Support regarding the "Error 80151011 occurs when you try to sign in to Xbox Live on Xbox 360" issue you were reading about or a different issue?